I am attempting to get my page started here. I have uploaded 2 pictures of my chickens. 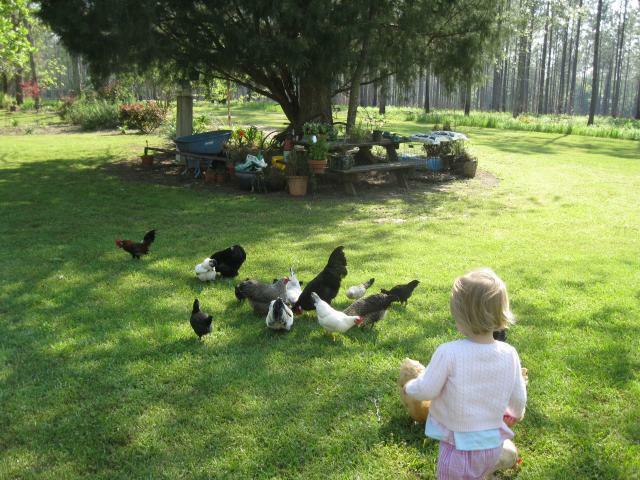 My adventure with chickens began in April 2006 with 25 bantams from Ideal Poultry. I think I stll have about 14 of the original chicks and we have had lots of little ones ! Here is a picture from a few months ago. 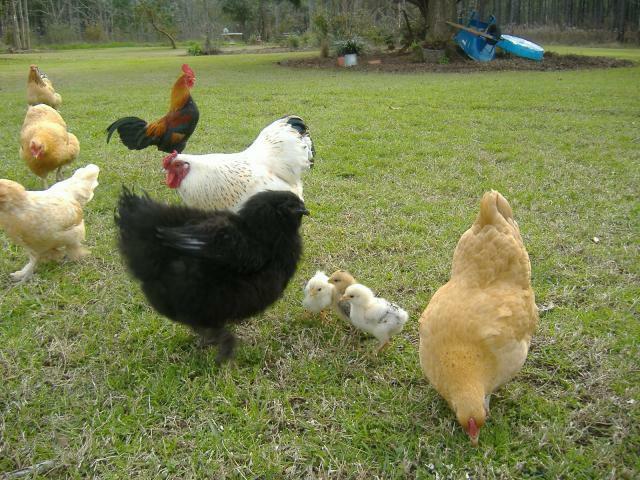 The black silkie in this picture was one of my favorites and a hawk got her one day when I had let them out of the pen. The lower picture is from earlier this week. My 16 month old grandaughter was having a great time with the chicks ! !